Ever since I watched Humans Need Not Apply a few months back I have been wanting to talk to everyone about robots taking over our jobs. More often than not people seem to shy away from the topic and I end up feeling like the weird robot obsessed lady. I am far more concerned than I am offended. Even Bill Gates thinks that this is the real deal. When speaking about robots most people seem to like to talk about scary robots and the robot-apocalypse more than comparatively mundane robot issues. What will we do when we don't need basic workers anymore? How will we support ourselves, and our communities? Shouldn't we be having these conversations now before we face another economic collapse? I imagine that there are certain countries and cultures that will stick to the "old ways" due to lack or funds and materials but I imagine that most "first world" countries will continue to race each other throughout the robotic revolution. Japan and China seem to be ahead of the United States right now as far as integrating robots into daily life. Many of the robots showcased below come from Asia, however there are a few from the US in the mix. Speaking of China, with 1.357 billion people living there, how do they manage to keep the employment rate so low (4.6% v. the United States 7.4% - Worldbank)? I'm guessing that the bulk of it has something to do with all of the stuff that is made in China, however according to AT0086 Electronic Information processing is on the rise. Anyways back to the robots! Here are some of the awesome robots that are currently doing our work for us, across all industries. The countertop robot Sereneti is programmed to cook whatever you'd like. All you have to do is insert the fresh ingredients. The company sells pre-chopped ingredients making the whole process nearly as convenient as fast food. Once you are finished eating all that you need to clean is the bowl and spatula! You can even program your own recipes or those of your loved ones. This Robobarista learns as it brews so that it can use new and unusual coffee makers. So cool! The robotic Briggo kiosk is currently housed in Dell's Austin, TX building. It would be so great to see more of these around. They kind of remind me of the old school coffee vending machines that drop your cup into place and fill them. Briggo coffee orders are far more customizable. The robot utilizes fresh milk rather than the powdered stuff due to its complex mechanics. Jibo is a social, adorable robot that can order take out, take family photos and even read bedtime stories. A step towards an actual nanny robot. Jibo is more adorable than creepy, but there are some others that are a bit borderline creepy such as the human looking companion bots in this BBC article entitled Step Inside the Secret Robot House by Zoe Kleinman. Ever get lost in the hardware store? The OSHbot robot store helper from Lowe's Innovation labs can direct you to whatever you may need. Is it just me or does it seem much less intimidating to ask a robot for help rather than a person? These Amazon Robots are already used to fulfill orders at lightning speed. I wondered how they can possibly afford to include 2 day shipping for all Prime members! Speaking of Amazon, you can find these souped up versions of iRobots' vacuums and mop bots on Amazon.com. These are affiliate links, by the way. I am very tempted to buy one myself! Software programs are totally capable of writing articles, providing a synopsis of events and even writing poetry. Self driving cars have been causing quite a stir lately. I think that they are a great idea, but I can see them working best in an environment in which all cars are self driven. 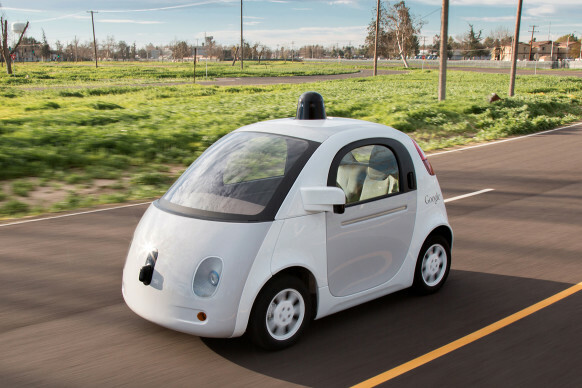 Here is Google's Plan to Eliminate Human Driving in 5 Years as told by Alex Davies of Wired. Robear is a step closer to a real like Baymax. 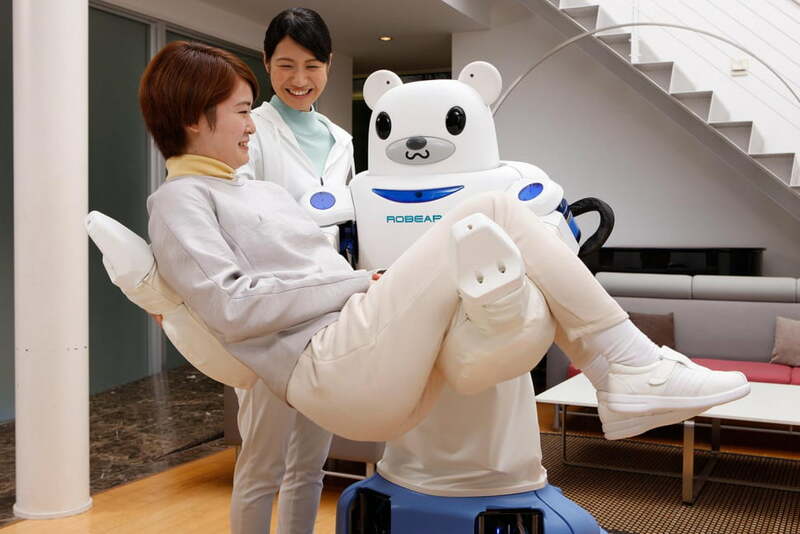 I think it would be great to have a "personal healthcare companion" like Baymax but I'm not so sure about the bear yet. Thomas Fetch teaches a high school social studies class in a blended classroom in Ohio from his home in Arizona. The telepresence robot allows him to speak to students more normally as he would in a face to face situation. Nao is a robot that can teach children programming through direct experience because it is fully programmable. Nao can be programmed to teach lectures. According to this RobotsLab video Nao is considered "the best educational robot available today". 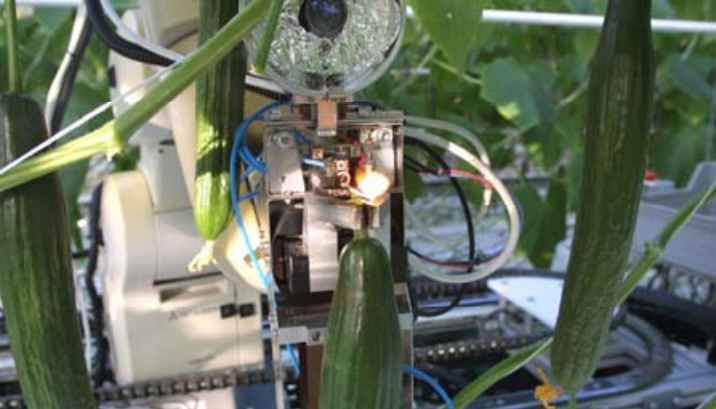 The robot band Z-Machines can create some truly beautiful music. The band consists of March the guitarist, Ashura the drummer, and Cosmo the keyboardist. You can read about them more in Sheena McKenzie's CNN article entitled Meet the robot guitarist with 78 fingers and coolest cable hair you've ever seen. These robots are just the tip of the iceberg. There is so much wonderful technology being developed as we speak which is both frightening and comforting. It would be nice to have a more relaxed job atmosphere due to robot assistance but the thought of thousands losing their livelihood is pretty scary. Having robots everywhere is totally a step closer to Big Brother's level of super surveillance as well. Equipped with voice recorders and cameras robots are capable of detecting your every move. It would stink if they took weird pictures of you and then someone hacked into them and stole the pictures. On the other hand I wonder if we'll ever need to figure out how to determine robot's rights and what to do about robot jail. Hope that you all are having a captivating week so far!